Rachel Harrison (born 1966) is one of the most exciting artists making sculptures today. Her assemblages of found and constructed objects carry a provisional quality, a wry sense of humor and an all-embracing intelligence. Playing with materials ranging from plinth, pedestal and corrugated cardboard to plastic ketchup bottles, insulated travel mugs and Barbie's wheelchair-bound friend, Harrison creates colorful, canny, thought-provoking constructions that are worthy peers of Rauschenberg's Combines. 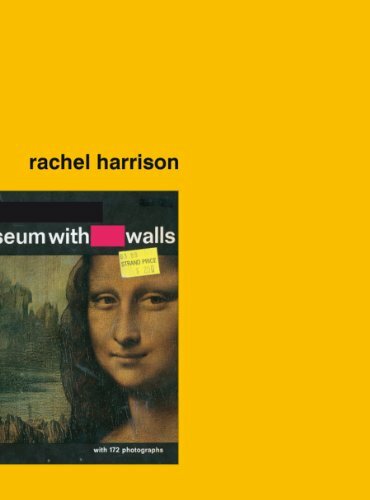 This volume, the most comprehensive monograph of Harrison's sculpture, video and painting to date, provides documentation of the past 15 years of her work and includes essays by Tom Eccles, David Joselit, Iwona Blazwick and Jack Bankowsky, plus contributions from Paul Chan, John Kelsey, Allan McCollum, Lucy Raven, Amy Sillman and Steven Stern.